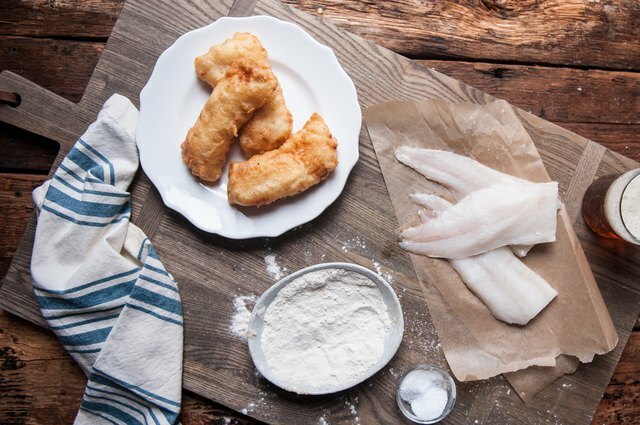 Whether it's a pub in London, a beach side taco stand in Baja, or a weeknight meal at home, beer-battered fish makes the day feel special. Don't be intimidated of frying, it's actually quite simple. 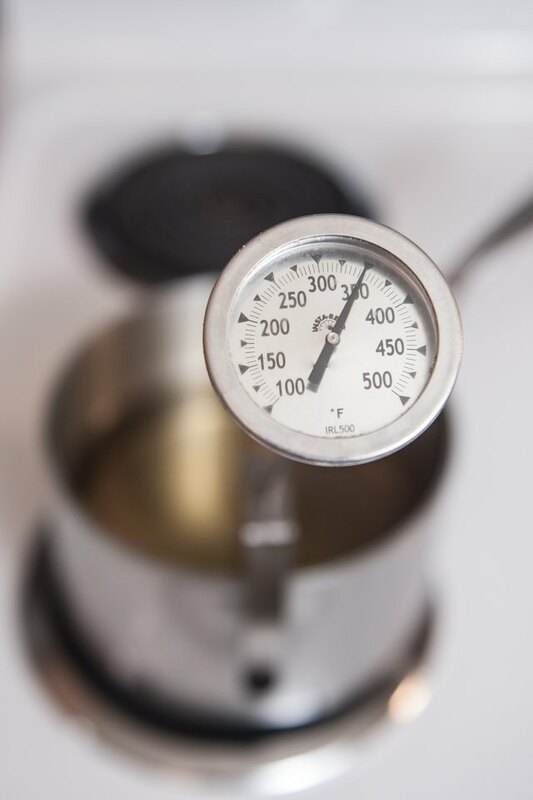 Add about 3-inches of canola or peanut oil to a pot, clip on a cooking thermometer (make sure the tip doesn't touch the bottom of the pan) and just adjust the heat to keep the oil around 350 degrees F. You'll be amazed at how easy it is to create such a delicious dish at home. 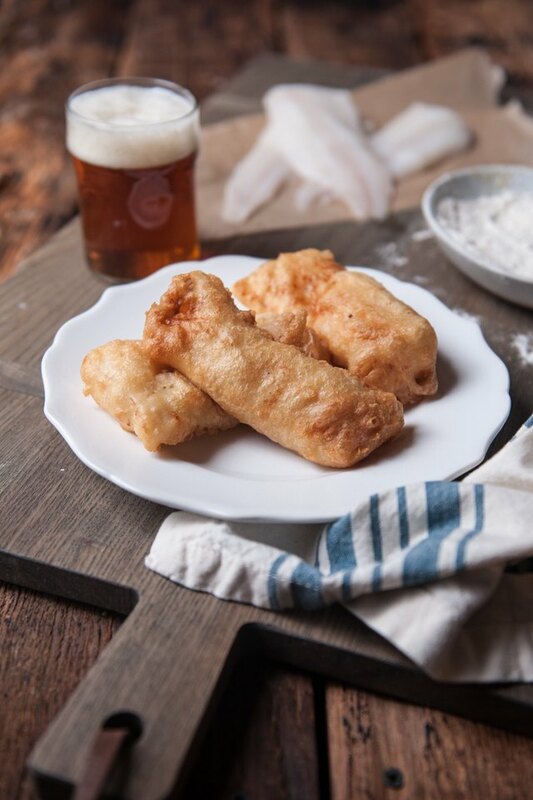 Use beer battered fish for delicious tacos! Just serve in corn tortillas with cabbage, Mexican crema, and hot sauce. 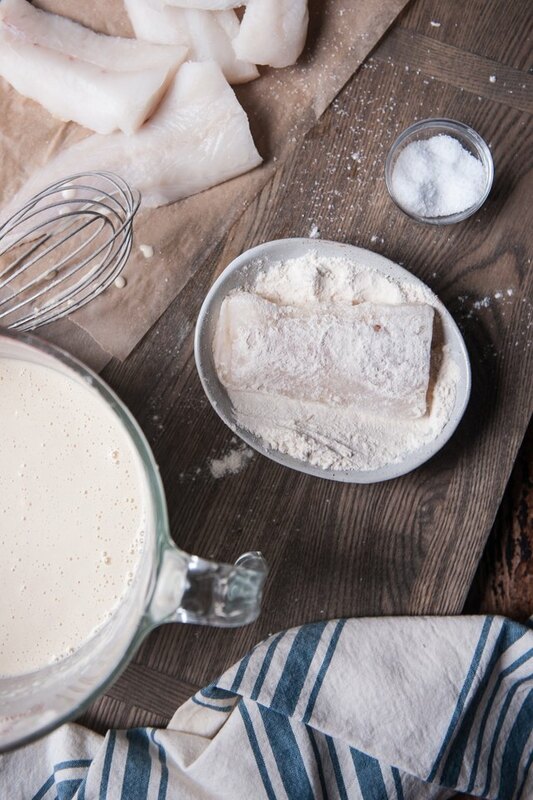 Add the 1 ½ cups flour, baking powder, and salt to a large bowl, stir until well combined. Make a well in the center, add the egg and beer. Stir to combine. Heat three inches of oil in pot over high heat. 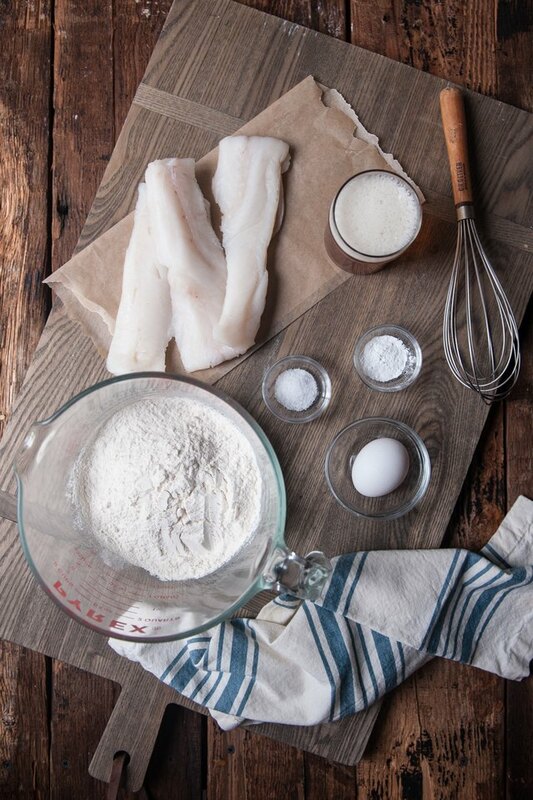 Clip a cooking thermometer onto the side, adjust heat to maintain 350 degrees F.
One at a time sprinkle the fish with salt, dredge in flour and then dip in the batter. Allow the excess to slip off, place gently in the hot oil. Allow to cook until golden brown on both sides, about 6 minutes. Using a metal slotted spoon remove from the oil and allow to drain on a stack of paper towels. 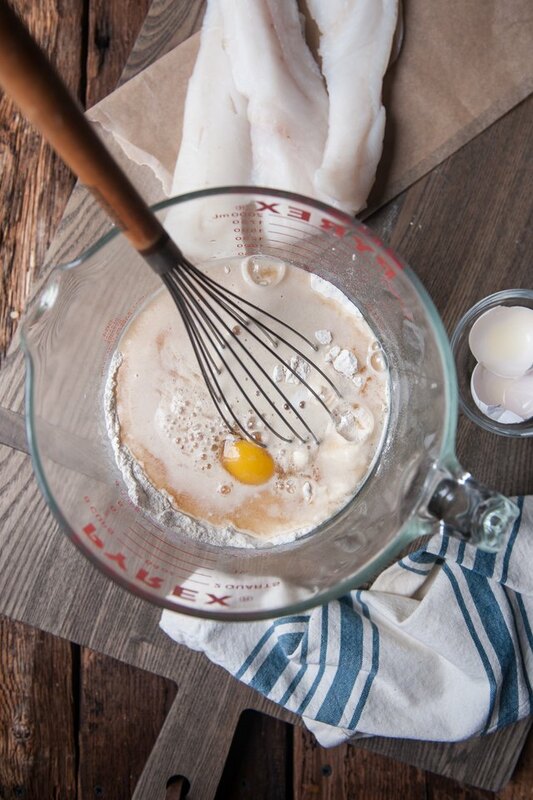 Beer battered fish is best served immediately. Cold beer optional, but definitely recommended!